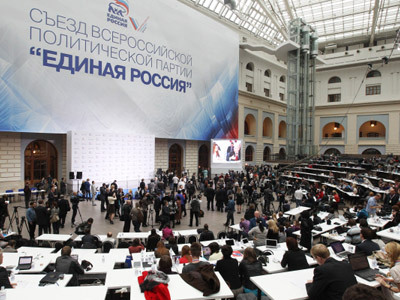 As the United Russia convention has entered its second day, it is hoped the uncertainty as to which of the ruling tandem will lead the party list for the parliamentary election on December 4 will be finally resolved. The convention is also expected to adopt its election program. However, the main intrigue is whether or not the name of the United Russia presidential candidate will be announced. Ahead of the event, there was speculation in the media that both President Dmitry Medvedev and Prime Minister Vladimir Putin could head the list. Although the two prefer to maintain the intrigue, many hope it will be finally resolved on Saturday, the second day of the convention, when the president and the prime minister will address the forum. 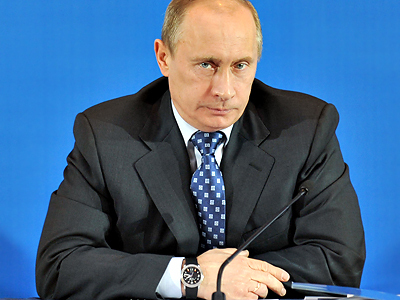 Prime Minister Putin took part in several panel discussions on the first day of the convention. Among others, he attended a session dedicated to the development of civil society, where he spoke about some practical issues of interaction between the authorities and public members. He acknowledged that the problem of a “tame press” exists in Russia. “We need on both federal and regional levels official press which openly expresses the official point of view, but not a tame press disguised as independent media,” Vladimir Putin said. He also pointed out the importance of human rights activists, although their criticisms may not always be fair. “We may like or not the activities of some organizations, but we should treat them with understanding and react to what they formulate as tasks or claims,” said the PM. Prime Minister Vladimir Putin also called on his fellow party members to avoid populist promises. “I’m telling you this because many of you, hope will have to work in the parliament. It is the specifics of a deputy job, you’re always tempted to come out and give plenty of promises on camera. When you make decisions, please don’t forget about them,” he warned. Several activists of the opposition Left Front movement have been detained near the Gostiny Dvor building where the convention is taking place. They were holding funeral wreaths. According to its leader Sergey Udaltsov, 30 people participated in the action. He said they wanted to hand the delegates a letter for President Dmitry Medvedev and Prime Minister Putin demanding to cancel the forthcoming parliamentary election because “not a single genuine opposition party” has been allowed to take part in it. 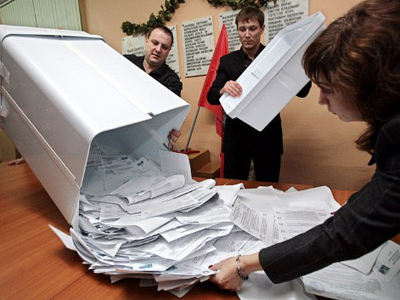 Still, the procedure of registering a party for a parliamentary election is, to a large degree, technical. Among those opposition forces who were not allowed to run was the People’s Freedom Party, also known as Parnas. In June, this newly-created liberal party failed to get registered on the basis of accepting “dead souls” (persons who do not exist, a literary reference) and numerous mistakes in the party’s charter. Since then they have not provided faultless documents to the Justice Ministry, and consequently cannot not take part in the parliamentary campaign. Speaking at the convention head of the United Russia Supreme Council, Lower House Speaker Boris Gryzlov, accused opponents of making the ruling party a scapegoat. “The closer is the election the more we see those who want to take all problems out on United Russia and to stick offensive labels on and to form a negative public opinion,” Gryzlov stressed.